Used to test pipe pressure before applying PipeFuze. 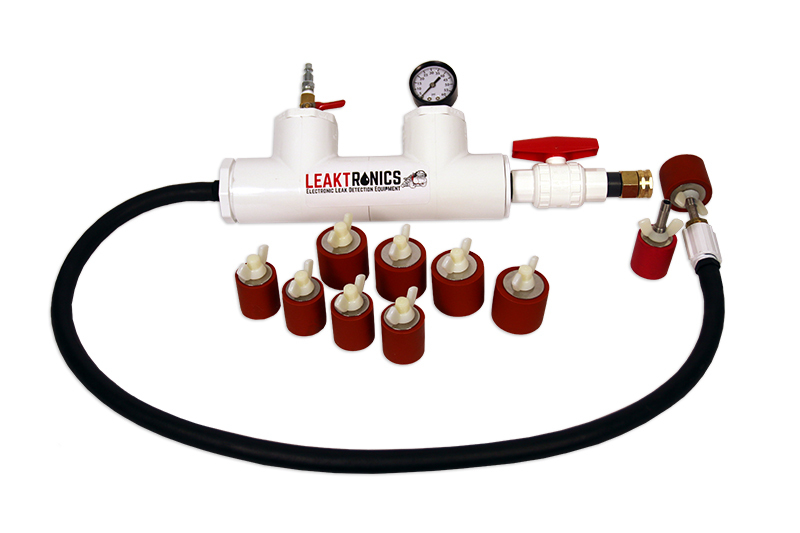 The Pressure Testing Rig allows the user to pressure test the pipe in question to see if the pressure loss is applicable to using PipeFuze. See the video below for an explanation of how to test your pipe pressure to see if PipeFuze can work for your leak.